We did this craft a few weeks ago but I have been seriously slacking with my blog posting and am only getting around to posting about this now. My bad. This craft was fun to make and fun to play with. My toddler loved this one and I think this would be fun to make and use for a scavenger hunt for a birthday party. Mix all your dry ingredients together in a large bowl. Add small amounts of water and mix until it begins to hold together. You want it to be a dough-like texture. 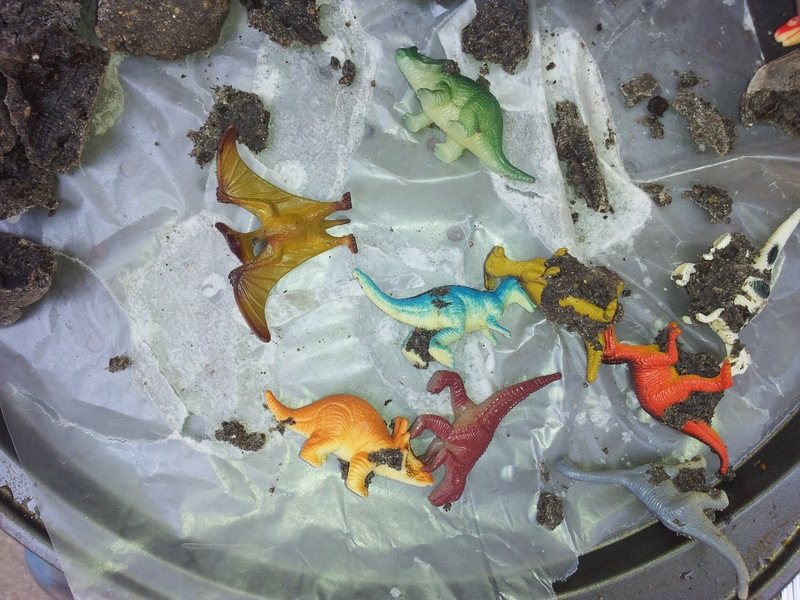 Mold your "dough" around your plastic dinosaurs. Leave to dry. This can take a few hours or several days. Or, you could be a dummy like me and leave your tray outside and then have it rain....which prolonged the drying time considerably. I ended up popping these in the oven on very low heat to help speed along the drying process. Then, let your kids go to town cracking these open. My toddler loved this! He repeatedly shouted "WOW!" 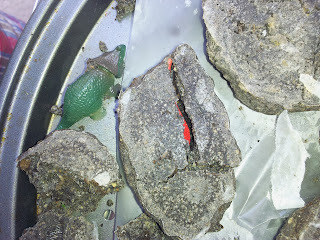 as he uncovered a dinosaur. This one was definitely a fun activity. You could put any kind of plastic toy inside these, too!